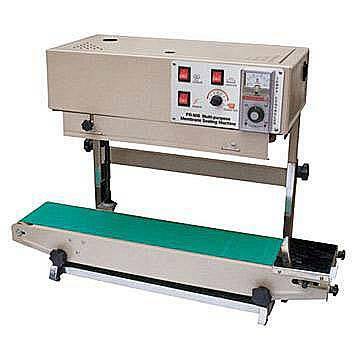 We have created a niche in manufacturing Band Sealer Machines. These machines command a fine presence in the Indian as well international market for their robust construction and performance level. Our band sealer machines provide sealing solutions with speed and perfection. Several technical specifications are followed with Band Sealer Machines to meet the needs of the clients. The scientific definition of a machine is any device that transmits or modifies energy. We?at Accurate Packing Machinery, "SET-PAC"define a machine as a device which?motivated us to transforms ourselves to destiny. We started as manufacturers, but that never quenched our thirst. ?The vision to be a "ONE STOP JOINT" for the industry we transformed ourselves to be "SOLUTION PROVIDERS".